This article has been excerpted from The Lavender Guide, a new book by Erin Stewart. The excerpt has been adapted for use here and was also featured in the August issue of AromaCulture Magazine. I've never met a Lavender plant I didn't love. When they pop up in garden shops around here, they are quickly snatched up by adoring plant-tenders and whisked away to their new homes where they're lovingly planted up and made a part of the family. My German Shepherd even loves them. There was a house on our block in CA that had a large, vibrant, seemingly ever-blooming Lavender plant in the front yard and it spilled over the picket fence into the sidewalk. Every day on our walk, my pup had to stop and stick her nose into that Lavender plant and just breathe it in for a moment before we continued on our way. Every time. It's rather adorable, really. She's a smart one. Did you know we made a film with the lavender farmers of southern Oregon? Click on the image below to watch it - it’s free! You’ll get to go behind the scenes at working lavender farms and learn directly from the farmers as they teach you how to grow, care for and distill lavender! Lavender is a flowering shrub in the Lamiaceae (mint) family and boasts over 40 known species with an ever growing count of over 400 cultivated varieties. While it's native to areas near the Mediterranean, Lavender is now grown all over the world and the various species provide us with several different essential oils. While they are all "Lavender" essential oils, the different species (and varieties) yield essential oils with slightly differing chemical compositions that might make one more suitable for certain issues than the others. 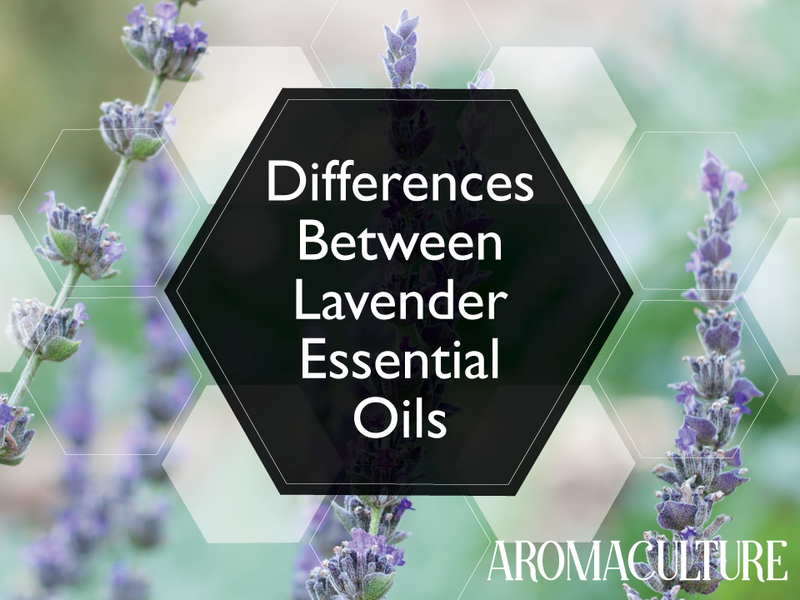 Let's focus in on some of the differences between some of the most commonly available Lavender oils. The main Lavender used for therapeutic purposes in both herbalism and aromatherapy is Lavandula angustifolia. There are many cultivars of L. angustifolia, with flowers ranging in color from light purple to dark purple, white, and even pink. This Lavender is sometimes referred to as English Lavender. 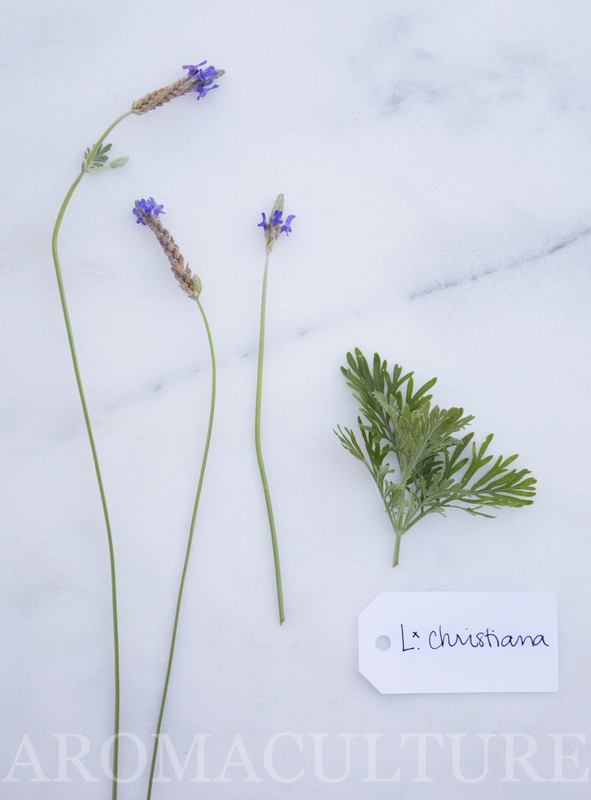 I have also heard some people call it French Lavender, but since that term has also been applied to Lavandin (L. x intermedia) and to L. dentata, it is best to refer to it via its botanical name, L. angustifolia, to avoid confusion. L. angustifolia plants produce less essential oil than the hybrid Lavandin plants do. A friend who distills Lavender daily has found that 6 to 8 plants' worth of L. angustifolia flowering stalks will fill the basket of a 15 gallon copper alembic still and will yield about 70ml of essential oil per distillation. While not considered ideal for florists and designers because of their shorter stems, the angustifolias have a sweeter, softer aroma than other Lavender varieties and are considered superior for therapeutic use. The plants themselves are much shorter and smaller than Lavandin varieties. The essential oil of L. angustifolia plants is rich in linalol and linalyl acetate, among many other constituents (possibly as many as 450 or more) and is considered the choice Lavender oil for use in aromatherapy. Professional aromatherapists will rarely use a Lavender oil produced from another Lavender variety, except, perhaps, for Spike Lavender (L. latifolia / spica) in cases where 1,8-Cineole and Camphor are preferred constituents for application. The different varieties of L. angustifolia produce similar, but still subtly different essential oils. ('Buena Vista' and 'Hidcote Pink' are two of my current favorites.) A discerning nose will be able to notice slight differences in aroma between the different oils, but in general, L. angustifolia essential oil is not sold with the variety name included unless it is being purchased directly from a small farm that distills their own Lavender on site. Most larger distillers, even if they grow several varieties of L. angustifolia, will co-distill the different varieties together and sell the finished product labeled simply as 'Lavender - Lavandula angustifolia' essential oil. I have found that L. angustifolia essential oils consistently boast the following therapeutic properties (among others): analgesic, antibacterial, anti-inflammatory, antiseptic, anxiolytic, antispasmodic, carminative, cicatrisant, diuretic, emmenagogue, nervine, sedative, and uplifting. They are generally useful for any kind of skin ailment, nervous tension, anxiety, lack of restful sleep, aches, pains, and spasms, and a variety of more serious complaints [covered more thoroughly in the full chapter found in the book]. While Lavender is safe for even neat use on the skin, some clinical aromatherapists now recommend using it undiluted only for acute ailments (like a bee sting). When used regularly over time, it may be best to dilute even the friendly Lavender essential oil in a carrier. True Lavender essential oil is costly to produce and is often adulterated with isolated (or synthetic) linalol or linalyl acetate, synthetic Lavender oil, and even Lavandin essential oil. Know your source well to be sure you're purchasing a true, 100% L. angustifolia essential oil. Lavandin (L. x intermedia) is a Lavender species that is cherished by growers and distillers around the world. Lavandin plants are created when a Lavandula angustifolia and a Lavandula latifolia plant are cross-pollinated. The resulting hybrid is a much larger plant than the L. angustifolia varieties and yields a great deal more essential oil. Lavandins make beautiful garden hedges because of their impressive size and color. They bloom later in the season than L. angustifolia varieties, so adding Lavandin to your Lavender garden is an easy way to extend your blooming season. Like the L. angustifolia essential oil varieties, Lavandin essential oil is usually offered as simply 'Lavandin - L. x intermedia' or 'Lavender - L. x intermedia' essential oil, though you may be able to find specific varieties like 'Grosso' and 'Super' labeled individually, especially if purchasing directly from a farm that distills onsite. Lavandin essential oil is not as commonly used in the aromatherapy industry, but it is produced worldwide for the fragrance industry. It is a common ingredient in soaps, laundry detergents, skin care, perfumes, and cleaning products. It's far less chemically complex than L. angustifolia essential oil and is considered to be somewhat inferior therapeutically, so not many professional aromatherapists use it. Still, the aroma is lovely - a bit sharper than an angustifolia, due to its higher Camphor and 1,8-Cineole content. Some people prefer its aroma because it's more similar to the traditional Lavender smell they're used to while others, who think they don't like the smell of Lavender until they smell a true L. angustifolia, shy away from the Lavandin scent. L. stoechas is sometimes called Spanish Lavender, but since that term is also applied to L. dentata and L. stoechas is also called French Lavender (a term also applied to L. angustifolias and L. x intermedia varieties), it is best to just refer to it by its botanical name: L. stoechas. Spike Lavender grows at a lower elevation than the L. angustifolia plants and is sometimes called Aspic. The essential oil has a sharper, more camphoraceous aroma than the essential oil from Lavandula angustifolia, with a camphor content that can vary based on where the plant was grown, sometimes reaching concentrations up to about 35%. It also contains higher amounts of 1,8-Cineole. Its aroma hints at its antiseptic qualities and smells quite medicinal. It is often utilized in respiratory support blends and is especially useful when you're feeling a bit stuffy. It can be helpful for pain and inflammation. While not nearly as calming as a True Lavender oil, it does stimulate circulation and effectively gets stagnant energy moving through the body again. Because of the camphor content, it is recommended that this oil be avoided when pregnant. There are many other Lavender species and varieties that are grown around the world. Our personal collection has many beautiful varieties. Some of my favorites that aren't listed in this particular article include L. multifida and L. x christiana (pictured above). There's just something so special about Lavender. Once you've spent some time with it, you can't help but want to be around it all the time. Plant one or two varieties in your own garden. Before long, you'll probably be growing your collection too! Sign up and we’ll send you a weekly email with new educational resources, Insiders exclusive freebies, and more! Your Welcome Packet will be delivered automatically after you sign up. Newer PostAsk the Panel: How Do You Choose An Essential Oil Brand to Purchase From?